Host Joe Conkwright in-studio curating music Joe’s Blues. WUKY in Kentucky curates music to preserve America’s blues heritage. 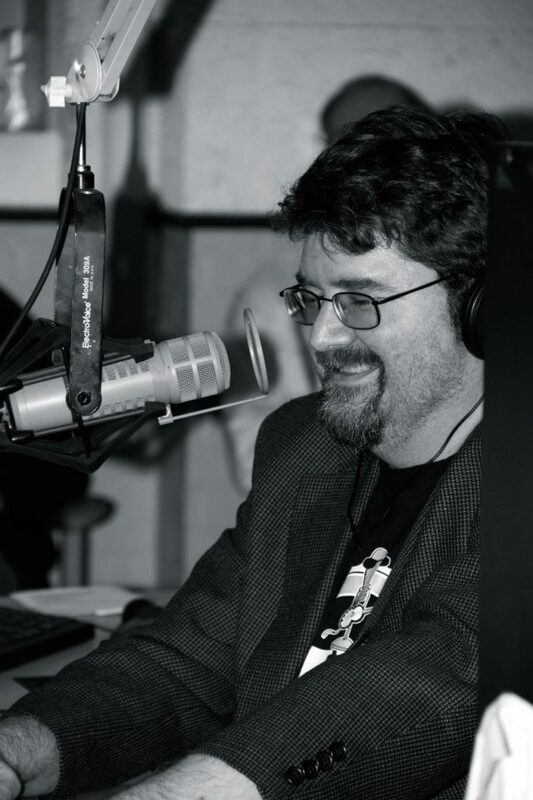 Since 2002, Joe’s Blues has been curating playlists to deliver steady offering of the many facets of blues music for WUKY listeners. That’s kind of like trying to identify all the stars in the sky: a never-ending, always passionate and enriching endeavor. The Lexington area has a strong and hungry community of blues enthusiasts and local blues musicians, some of them who have performed in major bands across America. The program runs on Monday and Friday nights, and with an unique, fresh set list that Conkwright often shapes around a particular theme. When Halloween or Christmas are coming up, for example, he’ll feature songs about them. When New Orleans flooded after it was hit by Hurricane Katrina, most of the songs one night were about floods. Or he’ll sometimes follow a theme of “rendition, revision and revisited” – showcasing songs that a blues artist performed differently in different settings and times. Like the traditional-sounding 1954 Muddy Waters recording of “I Just Want to Make Love to You” and his more “psychedelic” 1968 version. Conkwright has built shows around interviews he’s conducted with the many the legendary musicians who have contributed to the genre – like Chicago vocalist Koko Taylor, R&B pioneer Solomon Burke and blues/rock guitarist Johnny Winter. He takes the curation process seriously and hopes that spirit rubs off on listeners. Conkwright recognizes the deep well of history and emotion blues draws on with every song. Explore Joe’s Blues archived playlists online.